While the much-anticipated bullet train quite easily became the most talked-about subject in the country, little did Indians know that we already have a bullet train. If data by the Indian Railways is to be believed, the Allahabad Duronto Express covered the distance of 116 km between Fatehpur and Allahabad in 17 minutes, implying that it moved at the speed of 409 km/h. While auditing data of three trains the Comptroller and Auditor General (CAG) found major discrepancies in the data of three trains - Prayag Raj Express, Jaipur-Allahabad Express and New Delhi-Allahabad Duronto Express. These inaccuracies have raised questions on the railways' data entry process. Incorrect entries were fed into the system responsible for monitoring the real-time and punctuality of train operations, Integrated Coaching Management System (ICMS). The data is also reflected on National Train Enquiry System (NTES) that shows details like timings and arrival of trains. 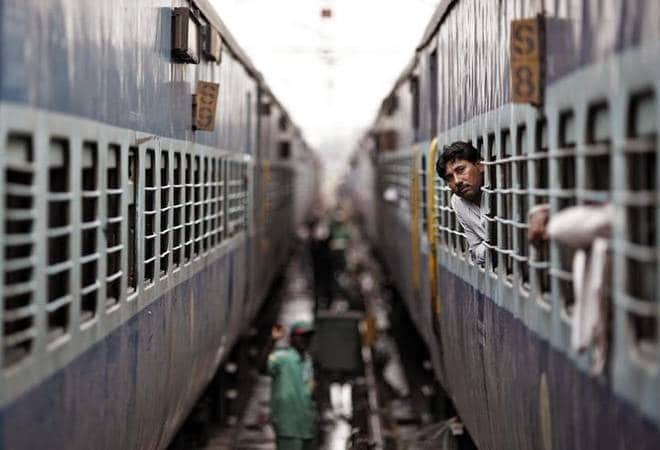 "During the year 2016-17, the three trains (Prayag Raj Express, Jaipur-Allahabad Express and New Delhi-Allahabad Duronto Express) operated on 354, 343 and 144 days, respectively, out of which they took less than 53 minutes (on 25,29 and 31 days, respectively) to travel a distance of 116 km between Fatehpur and Allahabad," the CAG report stated. The maximum permissible speed to cover the distance between Fatehpur and Allahabad is 130 km/h and a minimum of 53 minutes. However, the CAG found that on July 9, 2016, Allahabad Duronto Express started its journey to Fatehpur at 5:53 am and reached its destination at 6:10 am, implying that it travelled at a speed of 409 km/h to cover 116 km in 17 minutes. Other discrepancies showed that the Prayag Raj Express reached Allahabad station at 6:50 am on March 7, 2017, while records showed that the train left the station of Subedarganj, the intermediate station before Allahabad, at 7:45 am. Another case is of the Jaipur-Allahabad Express that reached Fatehpur at 5:56 am but Allahabad that comes after at 5:31 am. The Punctuality Performance Table showed a delay of 36 minutes delay in arrival at Allahabad. In its audit, CAG said that there is a possibility of incorrect data entry in other zones as well that could lead to inconvenience of passengers.